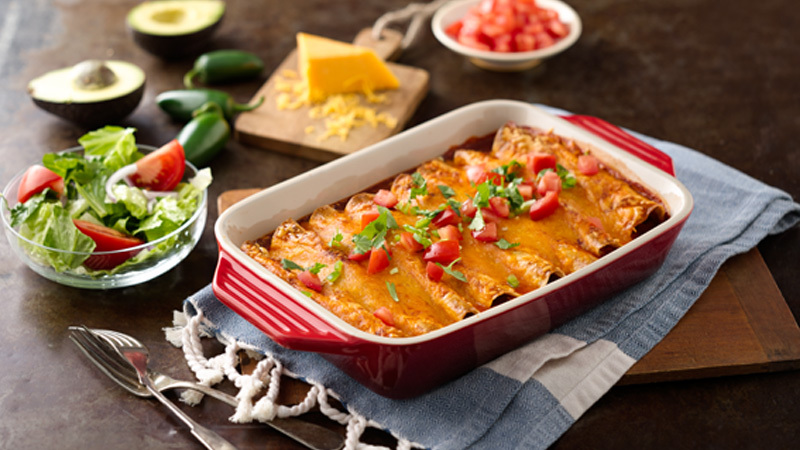 Try these quick cheesy chicken and bean enchiladas, complete with enchilada sauce and mild chillies. 1. Preheat the oven to 200 ºC (200 ºC for fan assisted ovens), gas mark 7. 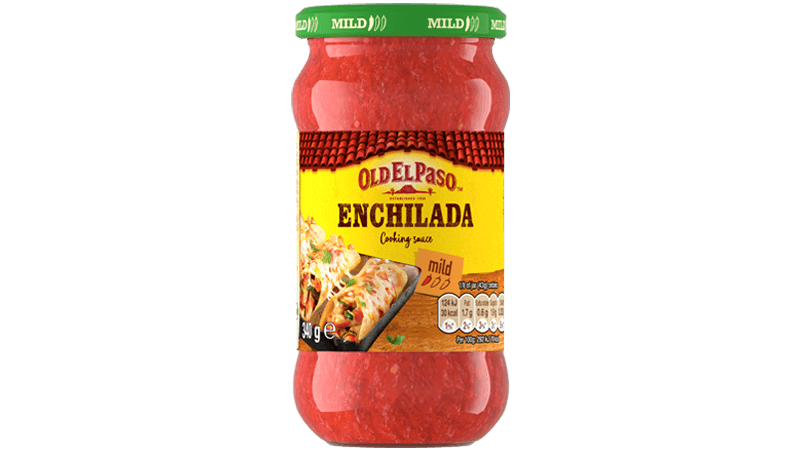 Grease a 33 x 23 cm baking dish with the oil and spoon half of the enchilada sauce into the bottom of the dish. In medium bowl, stir the chicken together with 1/2 of the remaining sauce, the chillies and the beans. 2. Place the tortillas onto a work surface. Divide the chicken mixture between the tortillas and then top with 1 tablespoon of the grated cheese. Roll up the tortillas and place seam side down in the baking dish. Top the enchiladas with the remaining enchilada sauce and cheese. 3. Bake for 12-15 minutes or until piping hot with the cheese fully melted. Leave to stand for 5 minutes before serving. Serve garnished with the tomatoes and coriander leaves. Great served with sliced spring onions, diced avocado, jalapeños, and grated cheese.